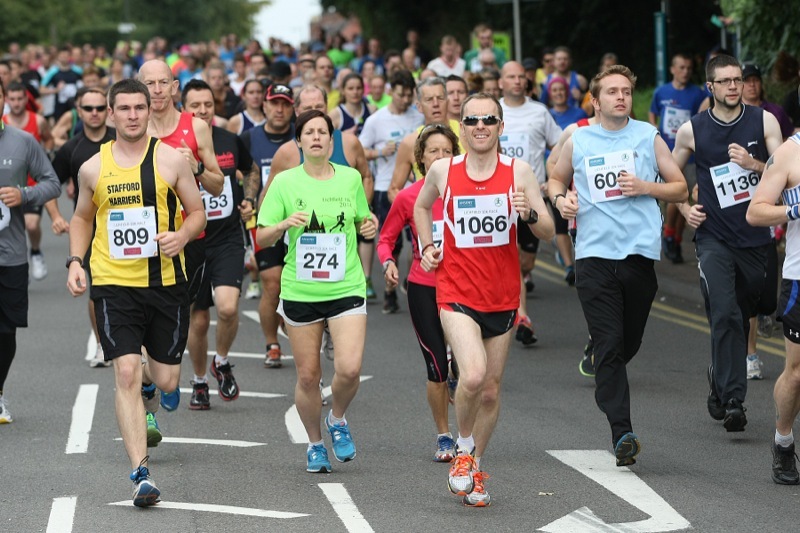 THE 10K RACE is now in its twenty fourth year, and starts at 10.30 a.m. on Sunday 8th September 2019 from King Edward VI Leisure Centre. It is open to all runners aged fifteen and over on race day. The race is organised by runners for runners of all abilities from complete beginners to Olympic athletes. All the 10K race finishers get a commemorative technical tee shirt, medal and banana. THE 10K COURSE is generally undulating with some hills between 4K and 7K. It is run mainly in quiet country lanes. The start is on Kings Hill Road outside King Edward VI Leisure Centre and the finish is on the cricket field adjacent to the start area. Start time is 10.30 a.m prompt. Please be in position at least 5 minutes before the start of the race.